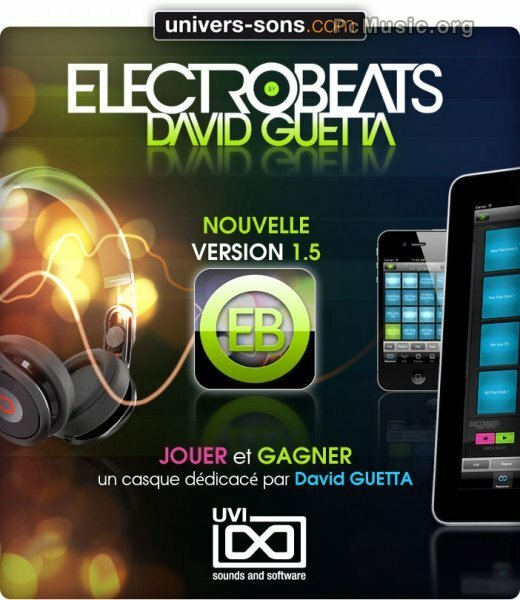 UVI releases the new version 1.5 of the intuitive beats making ElectroBeats by David Guetta app for iPhone, iPad and iPod touch : new support for iOS6 and the iPhone 5, new look, new lower price, new features and sounds and new trailer. The v1.5 comes along with the "ElectroBeats Sweepstake" - by purchasing the full version, you will be able to participate in the free sweepstake to win a pair of David Guetta's signed headphones. - New sounds and songs.